Kiran Mazumdar Shaw, Indra Nooyi, Chanda Kochar- are not just founders of successful mega-conglomerates, but represent the growing women workforce of India. Our country has made significant advancements in every field and is truly shaping up to be a global player in today’s digital economy. Contributing to its success are companies/industries built by the women of India who have proved themselves in all walks of life. Every day women are reaching new heights and breaking stereotypes. The workforce is empowered and booming. IFIM believes strongly in this philosophy and wants to drive the women education movement with the Kanya Shakti scholarship. IFIM strongly supports female education and empowerment- we want to raise the leaders of the future. An initiative by the Padode Foundation, The Kanya Shakti Scholarship is awarded to deserving girl students who stand out, courtesy their formidable academic capability and achievements. Nurturing the woman leaders of the future with attractive scholarships. A total of 15 Kanya Shakti scholarships will be awarded to female applicants as per the defined eligibility criteria. Each scholarship awardee will receive 25% waiver on the tuition fee. The scholarships are aimed to give the students a leg up in today’s fast-paced business environment, create a stimulating curriculum to inculcate superior leadership values and provide them with employment opportunities in various industries in the future. There is absolutely no limit to what women can accomplish! 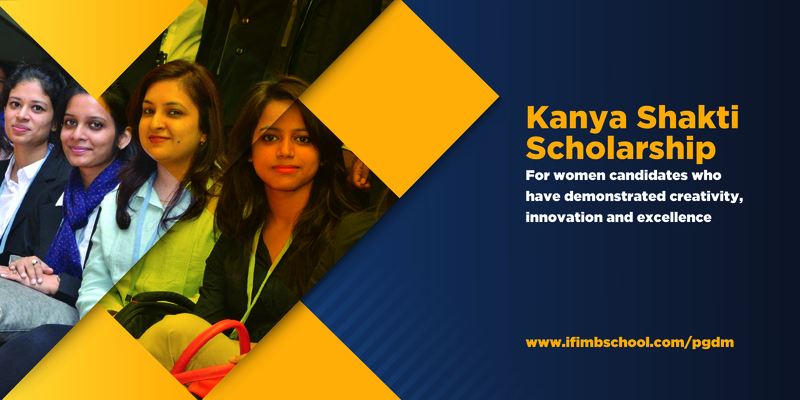 We at IFIM want to encourage female participation in this scholarship and truly make India stronger. A golden opportunity to give wings for your leadership dream! All you need to do is APPLY NOW for the Kanya Shakti scholarship programme. 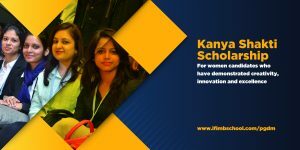 4 Reasons Why It’s Ideal To Have Work Experience Before Pursuing A PGDM Degree IFIM’s Kanyathon – A Noble Initiative to Save the Girl Child & Empower Women.